This Mexican fried rice is a simple and delicious rice. The taste is different from Vegetable Fried Rice. Red chilly powder and tomato gives a nice colour and flavour to the rice. 1. Heat a pan. Add washed rice. Fry till it turns to light brown. 2. Cook rice with enough water. Let it cool. 3. In a pan, add oil. Add onion and chopped vegetables. Fry till onion turns to golden brown. 4. Add tomato, turmeric powder, chilly powder, pepper powder and salt. Saute for few minutes. 5. Add ketchup and mix the ingredients well. 6. Add rice and mix well. Medium the stove. 7. 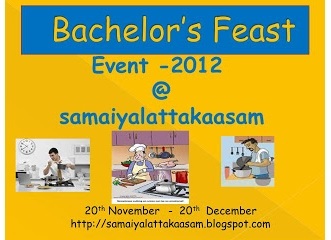 Cook for few minutes. lovely colour of Mexican rice. Actually they prepared it with brown rice, which is very sticy one. But your presentation is great Nithu. 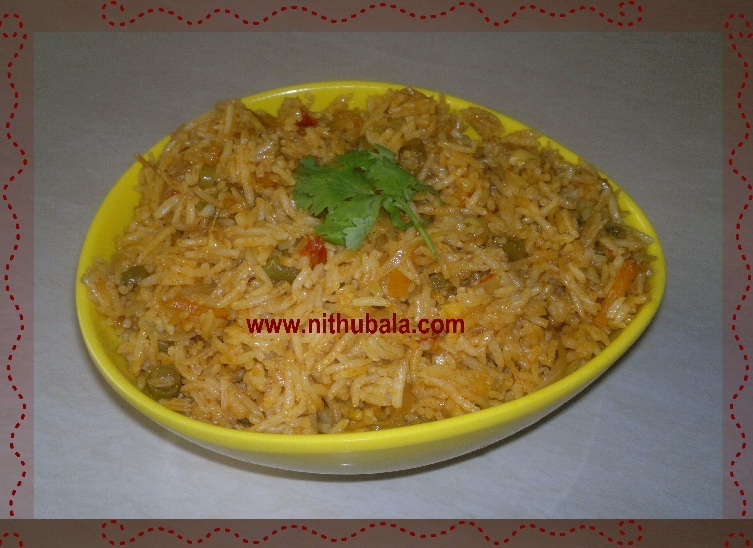 Yummy and flavourful rice recipe..looks tempting and yummy. very delicious tempting and colourful rice. I am hungry looking at it. Oh such a nice flavorful rice! 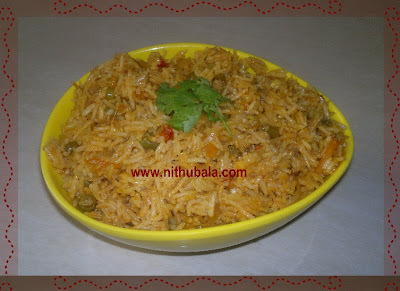 Simple and yummy....thanks for linking Nithu! Wow!!! such a colourful rice..